The FCC can't seem to make up its mind about small satellites. In January, our atmosphere got four tiny, rather unwelcome additions: four small satellites called “SpaceBees,” created by startup Swarm Technologies. Though each tiny craft is a little smaller than a slice of bread (10 by 10 by 2.5 cm), they’ve put quite a bee in the U.S. government’s bonnet. You see, the Federal Communications Commission (FCC) can’t seem to decide if those satellites should be allowed to exist. As IEEE Spectrum reports, just last December, the FCC denied Swarm Technologies permission to launch the tiny satellites from the U.S.; a letter from the FCC told Swarm that: “These spacecraft are … below the size threshold at which detection by the Space Surveillance Network can be considered routine.” So it seems like Swarm just went around the FCC and launched their little satellites from India. But it gets more complicated — IEEE also discovered that the FCC hasn’t always held this view. The agency has issued licenses for multiple small satellites in the least five years, even some as tiny as 3.5 by 3.5 by 0.2 cm (smaller than Swarm’s bees), authorizing some launches and denying them seemingly arbitrarily. This confusion comes at a time when future of satellite communications appears, increasingly, miniaturized. Small satellites are a heck of a lot cheaper than the Volkswagen Beetle-sized crafts that have traditionally handled communications and monitoring from our atmosphere. 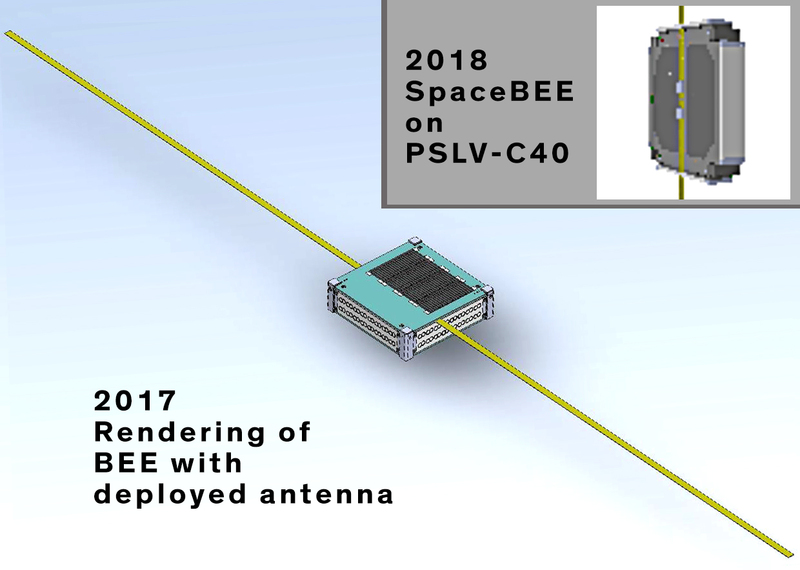 Little satellites can also work in a swarm, covering a broader area than a single satellite and providing higher-resolution imaging and data collection. As such, several companies, including Swarm and Elon Musk’s SpaceX, have big ambitions to host space-based internet from small satellites. But when it comes to making legislation around these little crafts, the FCC is as overwhelmed as Gulliver swarmed with Lilliputians. 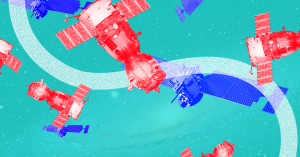 The FCC’s worries about small satellites are warranted; hundreds of little satellites loose in the atmosphere could pose a hazard to other satellites, or spacecraft moving through the atmosphere, especially if the companies that launch them lose control. But you could argue this kind of regulation is overdue, and government rule-making is (yes, again) slow to adapt to trends. (We count ourselves fortunate that they have gotten the hang of email; when Futurism reached out to the FCC with questions, they responded within an hour.) That’s something that will have to change as technology becomes ever-more integrated in our lives. Fortunately (hopefully) this confused atmosphere could at least change for satellite makers soon. On March 27, the FCC released a draft of a “Notice of Proposed Rulemaking” for small satellites, which would streamline the process of applying and receiving licenses for these little crafts. The draft proposes that small satellites under this licensing scheme would have a maximum mass of 180 kilograms (396 pounds) and a minimum size of 10 square centimeters (about the size of a softball) — as small an object that today’s sensors can track. However, the document acknowledges that there may be other ways to track smaller objects, like adding reflectors and transponders. Each of these small objects would need a unique marker to ensure sensors could tell it apart from other forms of space debris, the document continued. That’s going to be vital as more spacecraft, from space tourists to high-speed on-earth transport, enter our atmosphere. Swarm Industries’ decision to launch unauthorized crafts in response to the FCC’s scattered rule-making was more than just cheeky; it’s potentially dangerous to have satellites floating up there, un-tracked by central authorities. The last thing a space traveler needs is to get hit by a space bee, of any kind.